with Ready-to-go Office for Legal campaign! Are you thinking about or currently selling to legal? 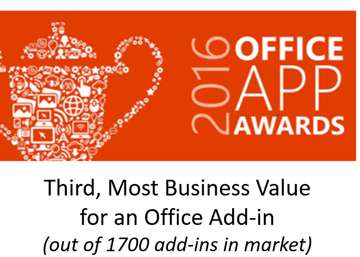 Learn how to triple your Office 365 margins by adding LawToolBox365. Our seminar will demonstrate how to sell to legal. New integrations with Office 365 allow legal professionals the option to automatically create SharePoint calendars (matter calendar) to track matter-specific deadlines, SharePoint sites (document folders) to store matter-specific documents and pleadings, shared Notebooks (notes) for matter-specific notes, and Outlook Inbox (shared Inbox) to keep track of case emails in a matter-specific location. 1 – Address Risk – Attorneys spend their day in Outlook, and most manually enter deadlines into Outlook calendars one-at-a-time. Manually adding deadlines is risky and legal malpractice providers give discounts.